Just as there are varying climates around the country, there are also varying times when it is best to paint the exterior of your house. Depending on the region of where your home is located, there are certain seasons where it is best to avoid painting your home’s exterior. 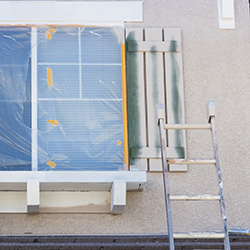 Throughout this article, we’ll briefly discuss when you should consider painting the outside of your house, so that your exterior painting project is completed with as few setbacks as possible. At Steve Holloway Painting, we’ve successfully painted homes and businesses in Bakersfield and its surrounding areas for more than 35 years. As painting professionals, we want to supply our customers and readers with the proper information so that they too can achieve the perfect outcome for their DIY painting projects. 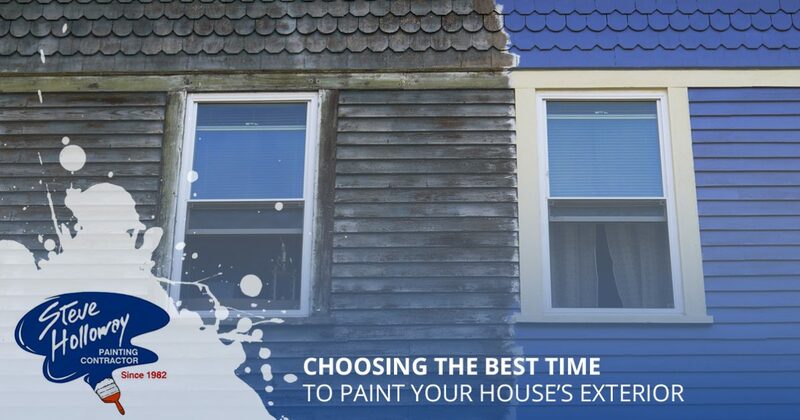 To learn about the best possible time to paint the exterior of your house, continue reading below. 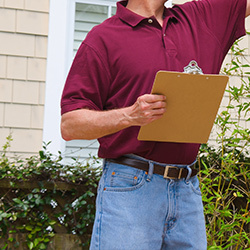 Before beginning your exterior painting project, you should check to see that you are painting under proper weather conditions where no moisture or rain is present. Since winter months can plague your house’s siding with moisture, it is important to wait for warmer weather, where your house’s siding will have a chance to dry before you begin painting. Paint is very susceptible to outside forces, which is why you should always avoid painting exterior surfaces during wet seasons. If you choose to paint your home while it is still moist outside, your paint could dry improperly leaving a less than desirable end result. In fact, exterior painting projects that are completed during moist seasons will fade much faster, requiring you to spend more money to repaint your house much quicker than you had expected. For this reason, we suggest waiting until optimal weather conditions during the dry seasons before beginning any exterior painting projects. Paint tends to dry more evenly when temperatures aren’t fluctuating extremely between night and day. As many already know, summer is generally the best time for exterior painting as warm days and warm nights allow for perfect painting conditions. The majority of exterior paint performs best with ambient temperatures ranging from 40 to 50 degrees Fahrenheit. However, some premium exterior paints will be fine in ambient temperatures as low as 35 degrees. Keep in mind, however, that extremely hot days followed by cold nights will cause your paint to dry improperly, making your exterior painting project a headache. This is why you should consider waiting for mild to hot days before you start your exterior painting job. For all your interior, exterior, cabinet, and deck painting needs, contact our highly qualified painters at Steve Holloway Painting. 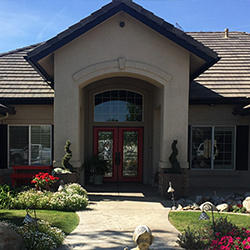 With over 35 years of continued success in painting countless homes and businesses around Bakersfield, we’re confident that we are capable of bringing your dream home to life with a beautiful shade of paint that will last you for years to come. 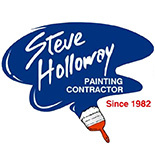 If you have any questions or inquiries, or would like to request your free painting price estimate, contact Steve Holloway Painting today.